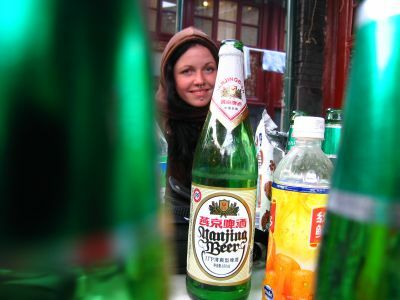 charlotte smiles at me through a pile of yanjing beers at the far east asia hostel in beijing as we waited to leave for the train station for a train to pingyao, china. 650ml of beer for 25 cents american. 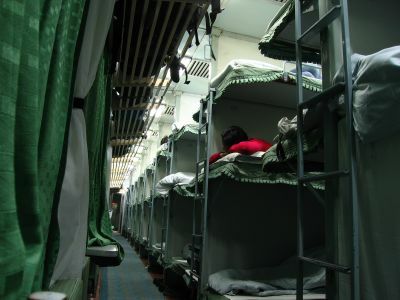 the woman in the bunk below me rests during the 14 hour train ride from beijing to pingyao. 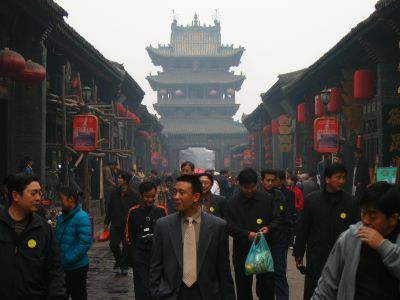 walking down the misty streets of pingyao, china. 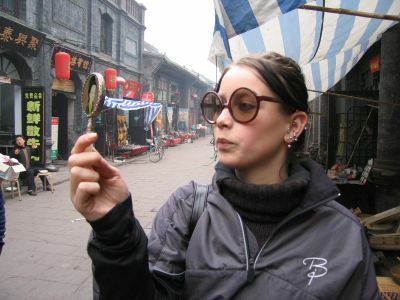 marie from norway tries on some ridiculous glasses and plays it off like the final scene from sunset boulevard - i am ready for my closeup. 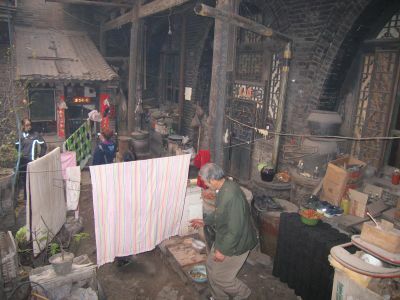 mr. liu is a local pingyao resident who takes foreignors on cheap walking tours. here we are touring the inside of someone's home. mr. liu took us into a local elementary school to teach a bit of english. 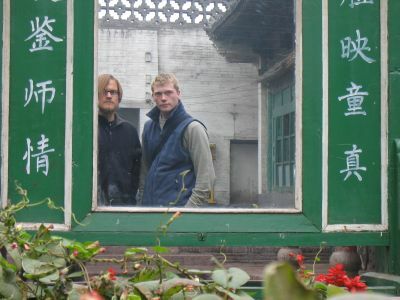 neil from england and i paused just inside the courtyard for a picture in the mirror. 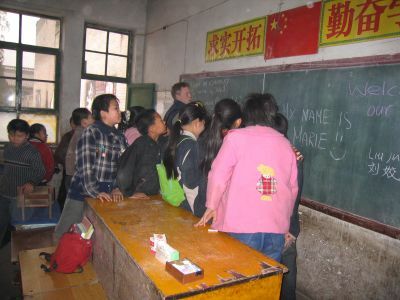 neil and marie lead the kids in an english lesson. they were all very anxious pupils, keeping their attention could not have been easier. 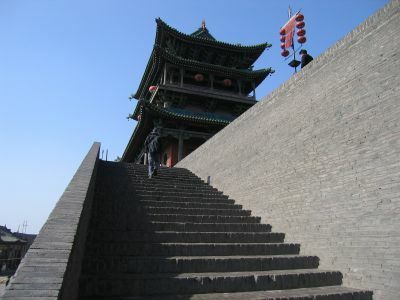 the chinese are often extremely curious about anything westerners do while in their town. 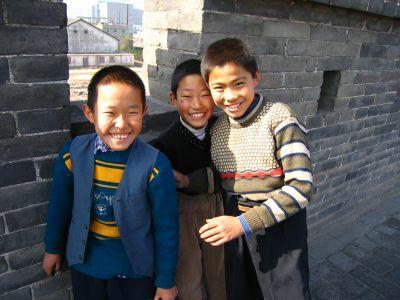 they are also very friendly so your encounters with the locals are usually very pleasant experiences. neil and i were followed on the wall by 3 local kids and they were thrilled when i stopped them, grouped them together, and snapped this shot.